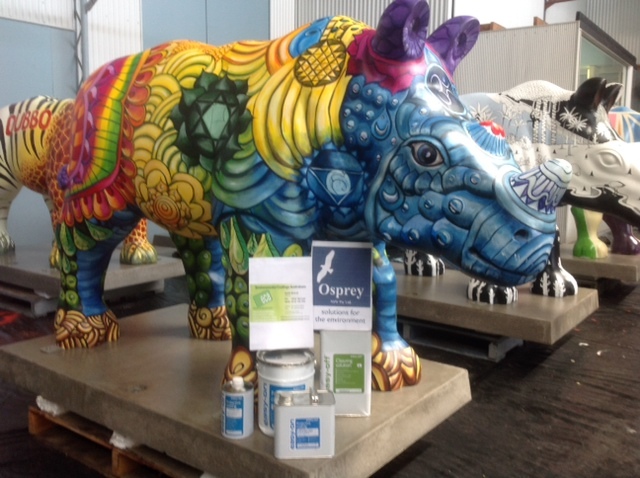 Environmental Coatings Australasia and our NSW partner Osprey NSW recently coated 125 rhino sculptures with easy-on for the Taronga Zoo Wild!Rhinos event. The easy-on protective coating was applied to the the colourful sculptures in preparation for their placement in the streets, parks and public spaces of Sydney, Dubbo and surrounds. The coating will provide a protective barrier against everyday wear and tear plus prevent the sculptures from being damaged by unwanted graffiti. 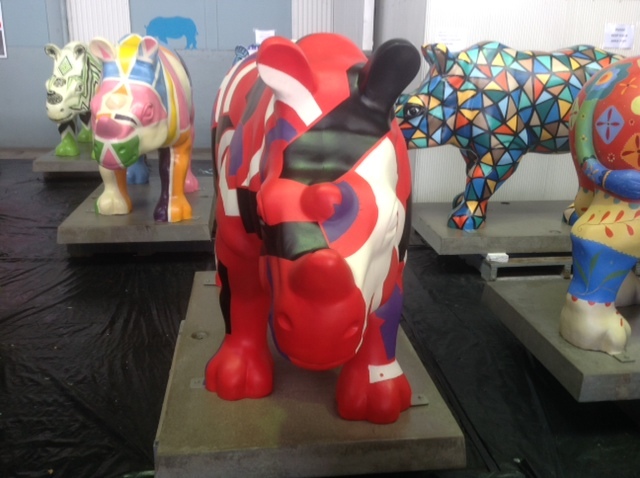 The wild artworks will be auctioned at The Star, Pyrmont to raise over $400,000 for Taronga’s rhino conservation programs. 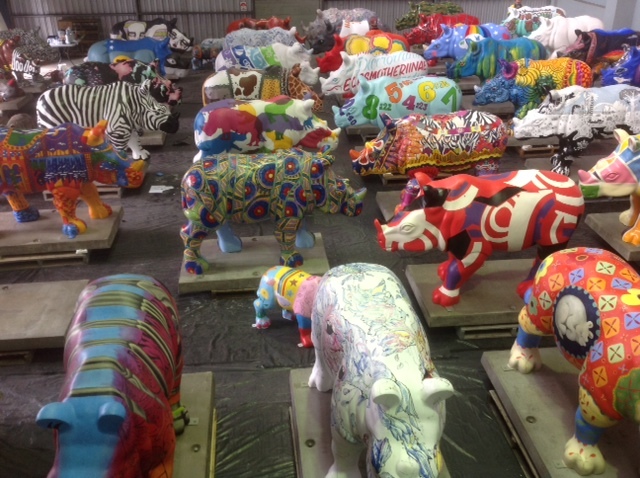 At the culmination of the event the life-sized rhino sculptures will go under the hammer at a charity auction to raise critical funding for Taronga’s rhino conservation programs.